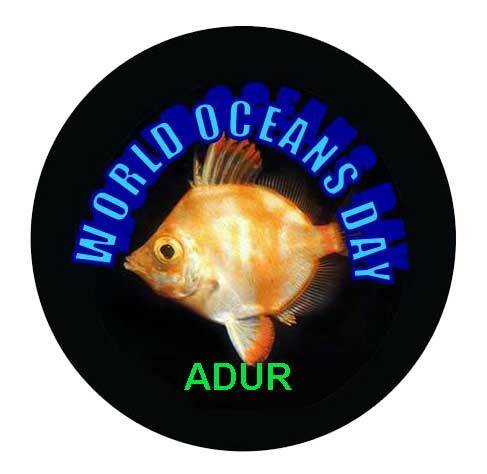 Adur was one of the UK leaders in presenting the seventeenth environmental exhibition of World Oceans Day on Coronation Green, Shoreham-by-Sea. 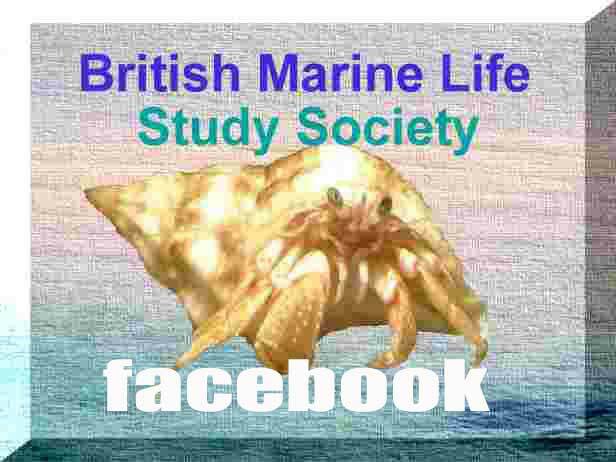 The British Marine Life Study Society presented the usual exhibition of the seashore aquarium and the lobsters and crabs. 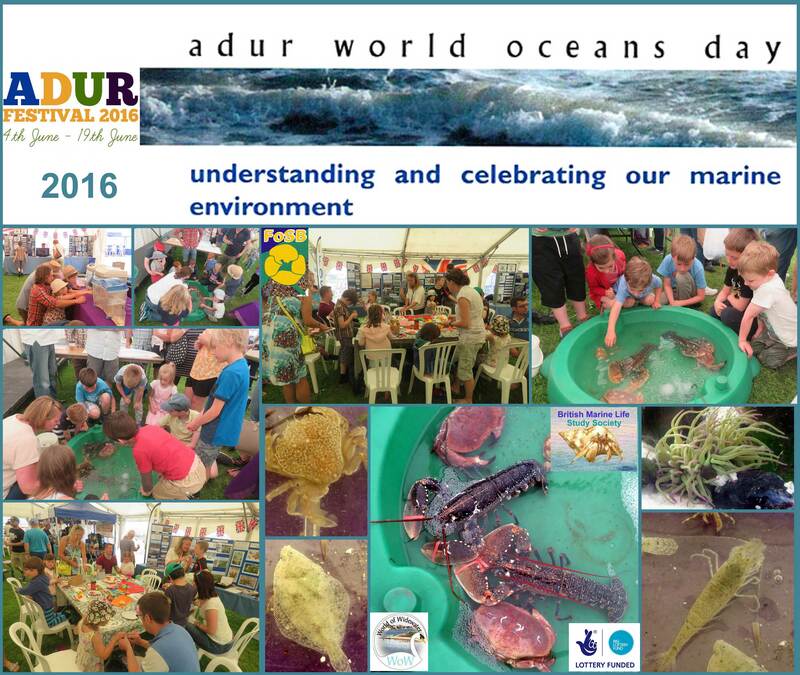 The Friends of Shoreham Beach (FOSB) took an active role with their display of the wonders of Shoreham Beach. 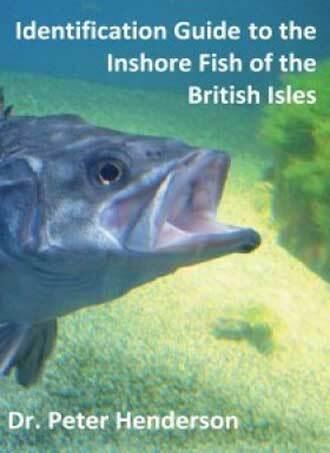 Wildlife writer Steve Savage presented the Man and the Sea exhibition with a video microscope. 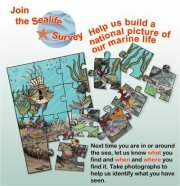 Exhibitors were available to find the time to answer questions about marine life. World of Widewater exhibited a display and information about the brackish water lagoon and local nature reserve. 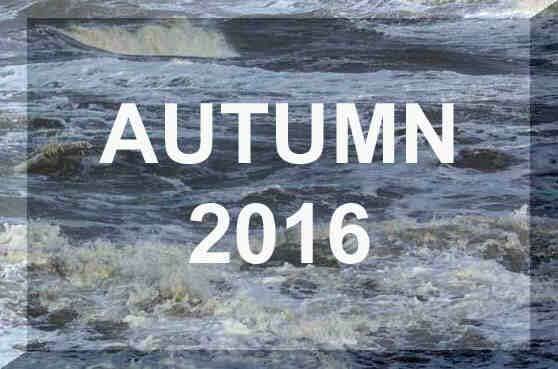 Other participants included Southwick Camera Club with an exhibition of seascapes and marine life. 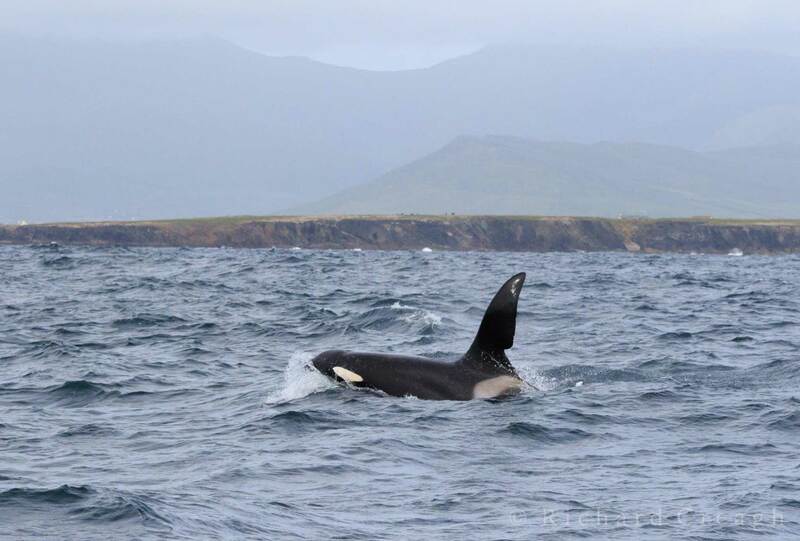 Killer Whale, Orcinus orca, named 'John Coe"
The famous Killer Whale, Orcinus orca, named 'John Coe" was spotted back off the extreme south-west coast of Ireland, seen by Nick Massett off Slea Head, Dingle Peninsula, County Kerry. This whale is quite easily recognised by the large notch on the base of the trailing edge of his dorsal fin, a feature which makes him unique and easily recognisable. John Coe is perhaps one of the best known Killer Whales in the seas around the British Isles, having been first photographed by Dr. Peter Evans, Sea Watch Foundation, 33 years ago, off the Scottish Hebrides back in 1983. He was of adult age even back then, and as with many members of this ageing remnant sub-pod of eight adults, he is old by any standards. 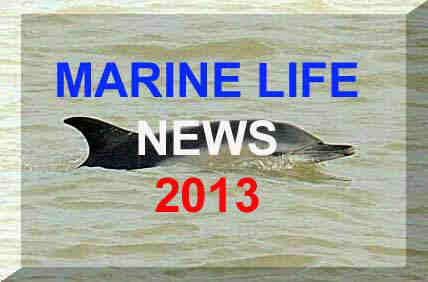 Today there are grave concerns for the future survival of this pod whose territory extends into Irish waters. 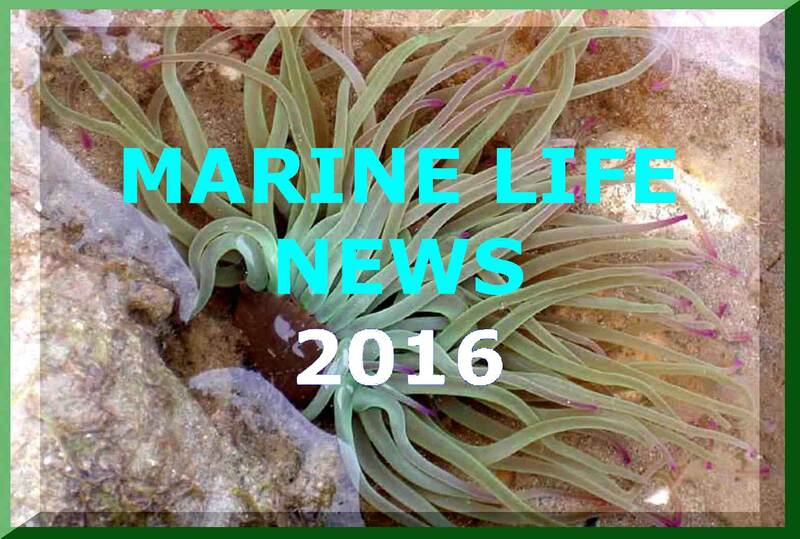 One major concern is that it is many years since there has been any new additions to this group, and zero recruitment means that this group will ultimately die off; something which would be a great loss to our marine biodiversity. Bottlenose Dolphins, Tursiops truncatus, have been known since 2007 to attack and kill Harbour Porpoises, Phocoena phocoena, in the Moray Firth off north-east Scotland. 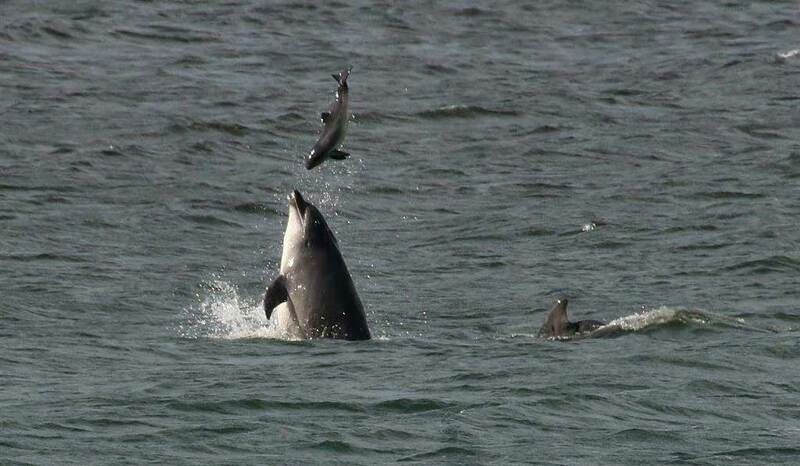 However, this action is rarely captured on camera as it occurs when the dolphin tosses a young porpoise in the air. A famous Killer Whale, Orcinus orca, named 'John Coe", distinguished by a large notch in its dorsal fin, was video-filmed off west of the coast of Mull swimming past the 'Cairns of Coll', Inner Hebrides, Scotland. 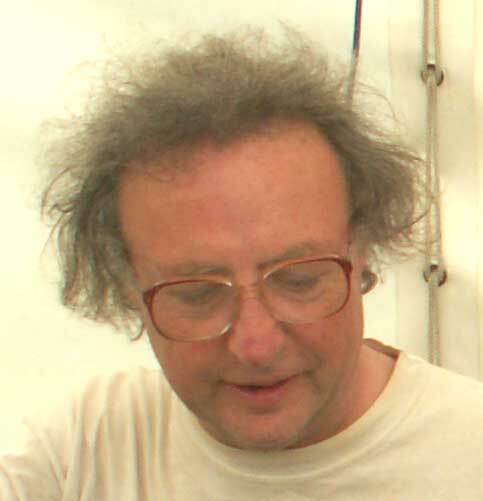 'John Coe" is the alpha male of the 'Hebridean Community' of Killer Whales (or Western Community) and has also been seen off Ireland and Wales over the two decades, first recorded by its individual name in 1992. Click on the image for the video recording. Basking Sharks, Cetorhinus maximus, make their annual summer pilgrimage to the seas of the western coast of Scotland. 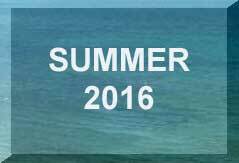 The first image is a still from aerial footage in calm seas off the Hebrides on 12 June 2016. 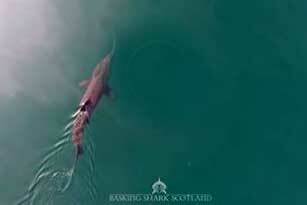 The second still (from a video) photograph shows a 3 metre long juvenile Basking Shark with an adult. Click on the images for the video recordings. 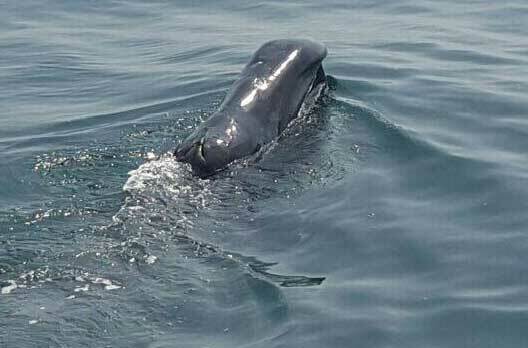 Another sighting of a Bowhead Whale, Balaena mysticetus, was spotted off the coast of Ireland, in the mouth of Carlingford Harbour, County Louth. 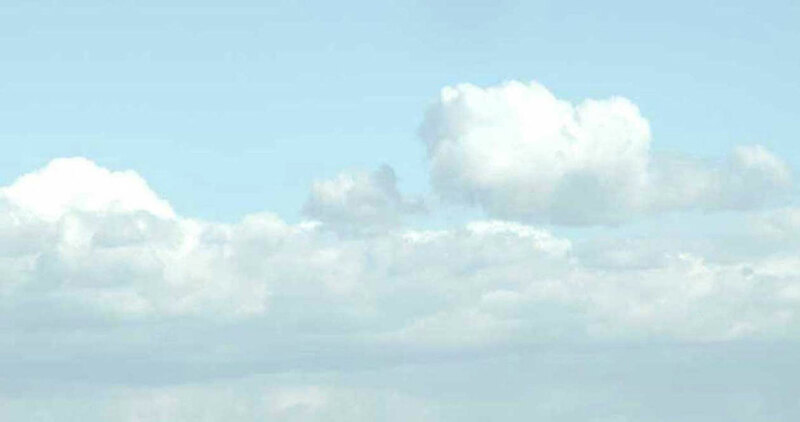 This was thought to be the same whale that was seen further south two weeks ago. It must have swam north towards more usual Arctic seas. A large cliff fall occurred of the chalk cliffs at Seven Sisters (west of Beachy Head) on the East Sussex coast. Over ten metres of the land crashed thousand of tonnes of chalk rocks into the sea when the tide was high. The friable chalk is subject to erosion and sudden cliff falls can be treacherous for cliff walkers and also for rockpoolers searching the chalk platform underneath. 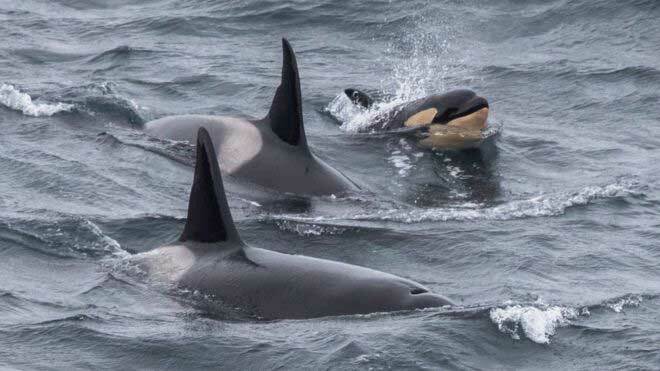 A pod of about six Killer Whales, Orcinus orca, including a three month old calf, were spotted and photographed off the Caithness (NE Scotland) coast by wildlife watcher Karen Munro on 16 May 2016. The pod were identified as a pod who spend the winter around Iceland feeding on shoals of Herring. 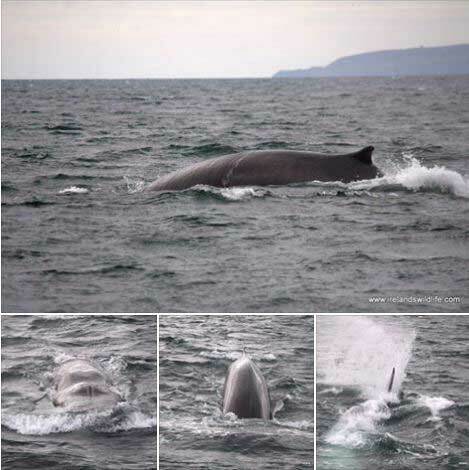 The pod was spotted by Alan Airey (Seawatch) in the Moray Firth on 23 May 2016 and was found by North 58 Sea Adventures to comprise of one bull, three females, one juvenile and a calf. 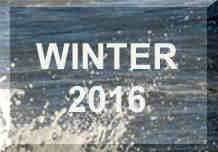 In the last few years the same pod of whales have visited the Moray Firth annually. The group is known in Scotland as the Northern Isles Community and moves between Iceland and Scotland to hunt and raise young. 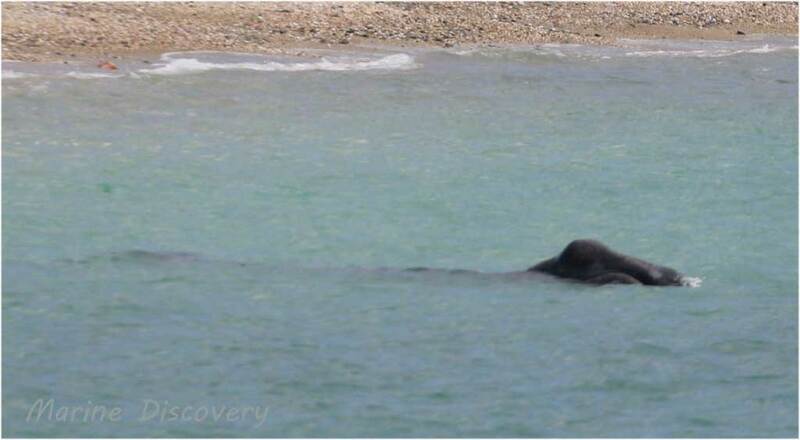 A most unexpected sighting of a juvenile Bowhead Whale, Balaena mysticetus, occurred in shallow waters at Long Rock Beach, near Penzance, Mount's Bay, Cornwall. It is a species of right whale usually only found in icy Arctic seas and there has only been one previous report last year. This juvenile whale was about 7 metres long, but they can grow up to 18 metres, and after the Blue Whale they are heaviest animals (up to 90 tonnes) on the planet, with the longest baleen plates and the largest mouth. 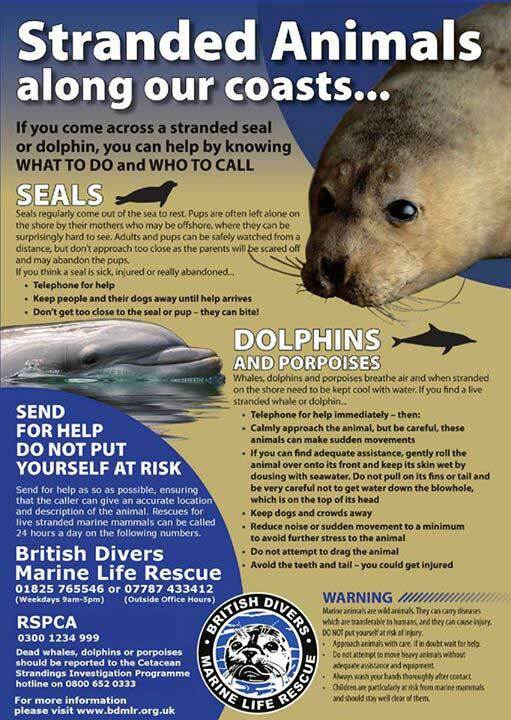 The whale was first spotted by regular marine mammal observer and medic, Dave Jarvis of British Divers Marine Life Rescue (BDMLR), and first recognised by whale researcher Marijke De Boer on a Marine Discovery Penzance boat. A brief video footage shows the double blow of this whale species which together with its distinctive shape confirms its identity. The head is distinctive and this whale lacks a dorsal fin. A spectacular discovery of the skull and antlers of Red Deer were recovered from the 3500 year old petrified fossil forest revealed on the low spring tides on the shore at Borth, Ceredigion, on the Cardigan Bay west coast of Wales. Researchers from the University of Wales, Trinity Saint David, Lampeter, confirmed that the find was preserved at the same time of the forest. 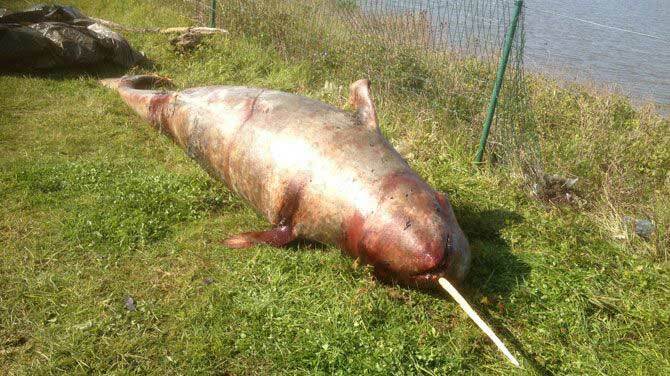 A most extraordinary and unexpected discovery of a dead young male Narwhal, Monodon monoceros, washed up in the River Schelde at Bornem in Antwerp Province, was the first found on mainland European shores for over a century. Only the male Narwhals have the single (usually) long ivory tusk. It is a toothed whale almost always discovered in small pods north of the Arctic Circle, so it was 1000 miles off course. 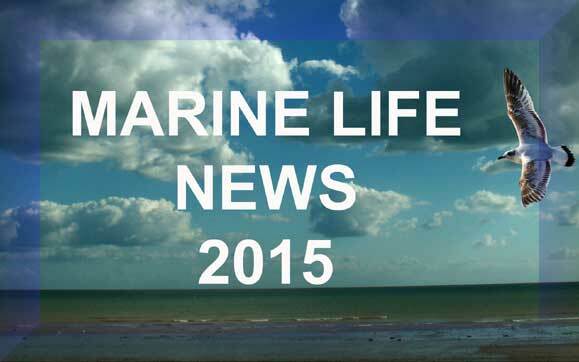 The first Fin Whale, Balaenoptera physalus, of the year was spotted off Ireland by a cruise out of Cork. 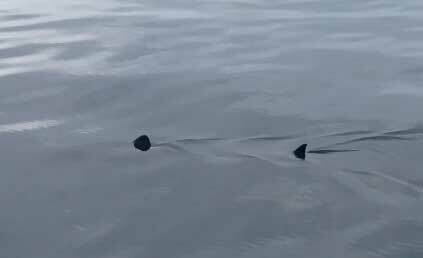 The first Basking Shark, Cetorhinus maximus, of the year in Scottish waters was seen off Skigersta at Ness on the Isle of Lewis, Outer Hebrides. 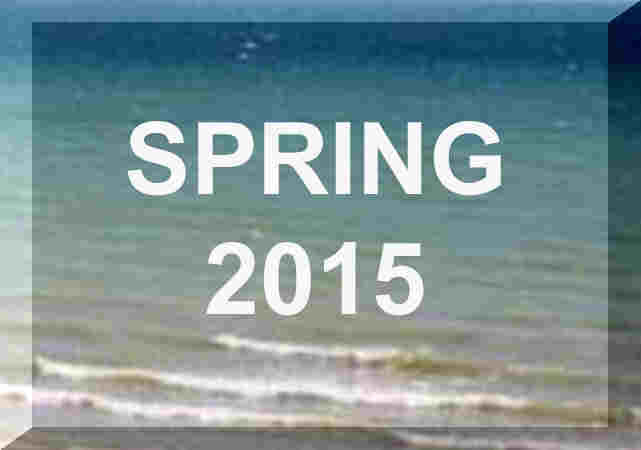 The first Basking Shark, Cetorhinus maximus, of the year off Cornwall was spotted. Scientists studying Scotland's resident population of Killer Whales, Orcinus orca, have identified an individual animal which hit the headlines in the 1970s. The orca swam up the River Foyle in Northern Ireland in November 1977. 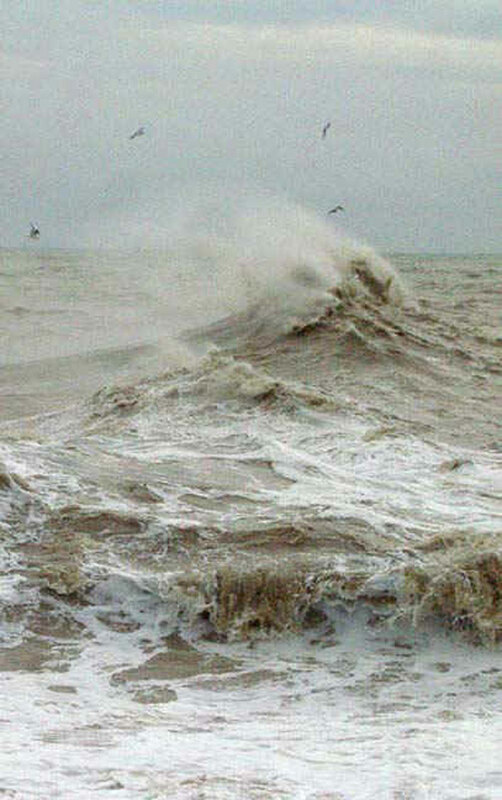 Efforts to persuade it to return to the open sea failed until it decided to leave the river without help. 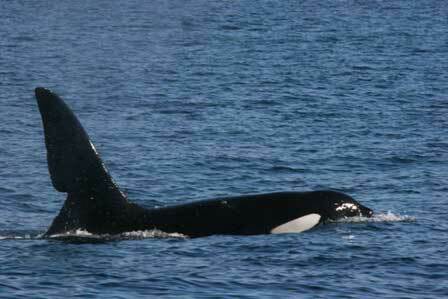 The Killer Whale, named as Comet, is now said be living in the waters off Scotland's west coast. Its identity was discovered when old photographs were uploaded onto a facebook page. Killer Whale experts Andy Foote and Hebridean Whale and Dolphin Trust science officer Dr Conor Ryan recognised the whale in the images as Comet, last recorded by the Trust off Dunvegan, Isle of Skye, in September 2014. Orcas have an average life expectancy of 30 to 50 years in the wild. 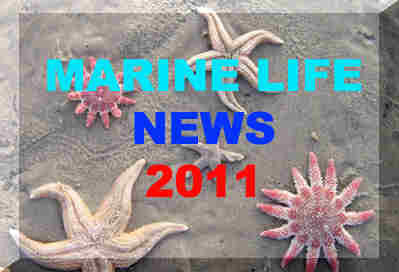 Their estimated maximum life span is 60 to 70 years for males and 80 to more than 100 for females.